It can be hard to make lunch boxes interesting while still keeping them quick and easy. Chances are you are full of motivation and creativity at the start of the school year, but it quickly wears off as the weeks go by. 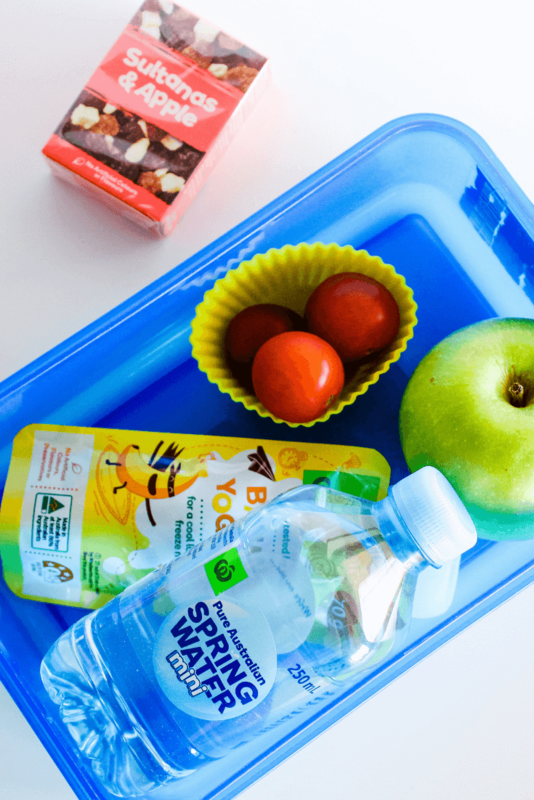 Fortunately there are plenty of effortless ways to keep lunch boxes fresh and interesting, which hopefully result in the lunch boxes coming home empty at the end of each school day. Next time you feel like your kids lunch boxes are starting to get a bit repetitive, try some of the helpful lunch box hacks below. 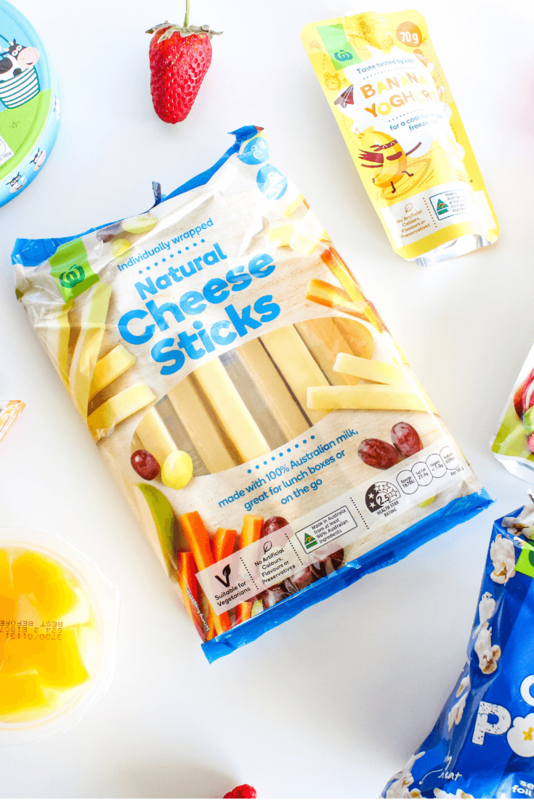 Each time you do the grocery shopping, be sure to stock up on lunch box friendly snacks. It’s a great idea to always have lunch box fillers on hand. This avoids those last minute lunch orders because there is no food in the house, which in turn saves you money! I like to keep a mixture of pantry and fridge lunch box items on hand. Having a few extra pantry items is perfect for those times the fridge is looking a little bare and you can’t make it to the shops. Ice bricks are a lunch box essential for our hot Australian summers, so why not make it something they can drink? 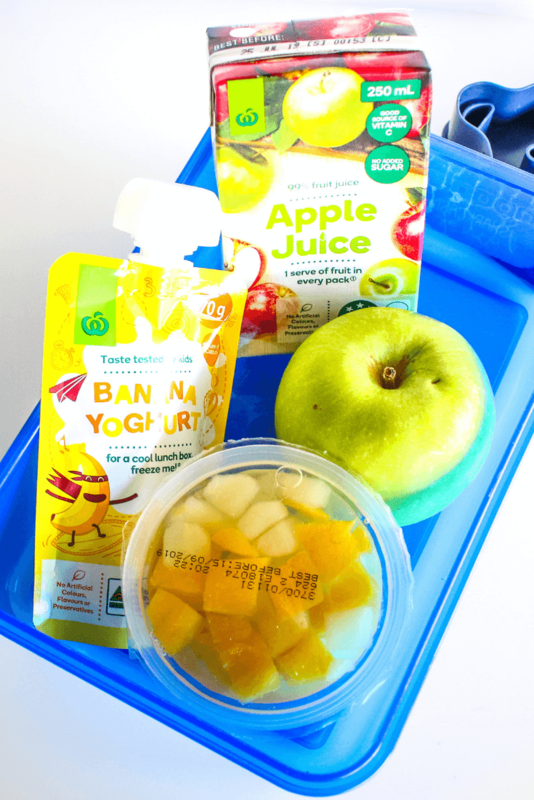 Freezing fruit boxes ready to add to school lunches is a great way to keep food cold right through to lunch time, and also give kids an icy cold drink to go alongside their lunch. 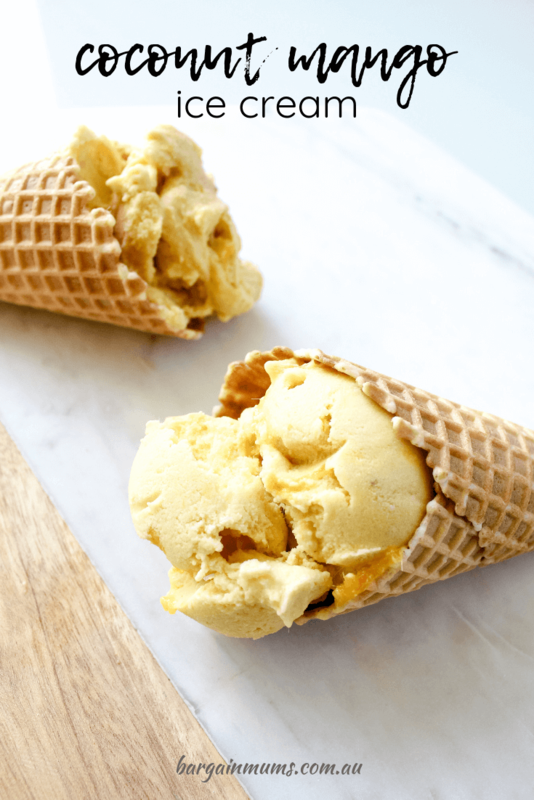 It’s the perfect school treat on hot days! 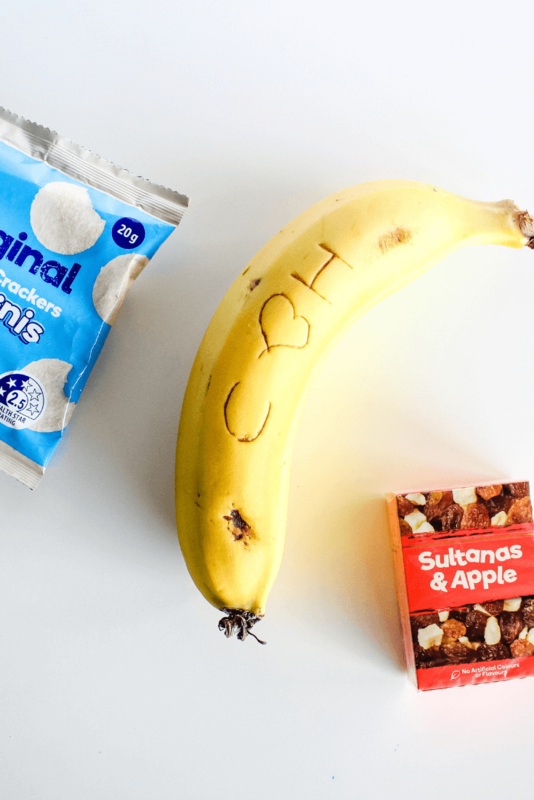 Writing messages on bananas is a cute way to let the kids know you are thinking about them while they are at school. It’s so simple yet so effective. Just use a toothpick to etch your writing and/or pictures onto the skin of a banana. At first it will be quite faint, but by recess time the writing should be nice and dark. One of the best ways to keep kids interested in their lunch is to let them choose what goes into their own lunch box. Obviously you don’t want to give them complete control, or they might head off to school with a lunch box full of chocolate and lollies. Instead let them choose from a few options. A great way to do this is to place some containers in the pantry filled with a few lunch box friendly choices, and let them choose one item from each container. You can make sure you are happy with the choices by controlling what goes into the containers, and the kids feel like they are making their own decisions. What you fill the containers with is up to you, but I like to keep them filled with a mixture of healthier options and a few treats. Lunch box friendly items like Woolworths individuals popcorn packets and Woolworths muesli bars are always a winner. 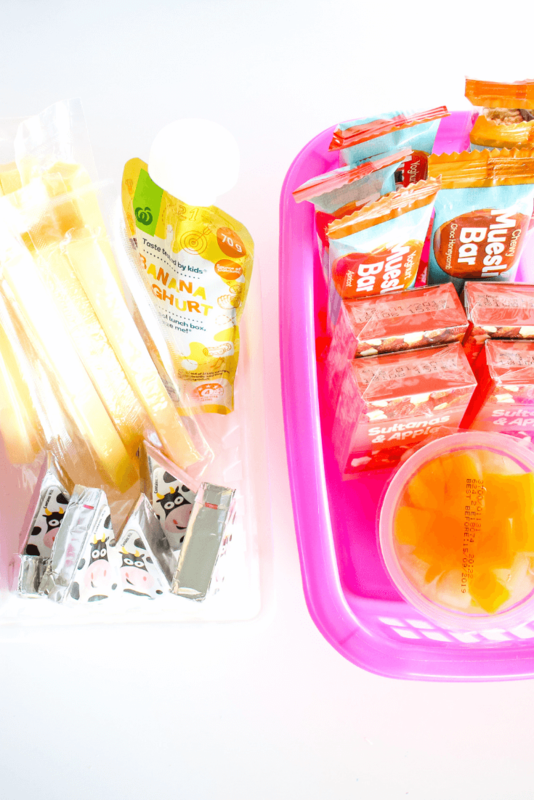 You could even do the same in the fridge, and fill a container with cheese sticks, yoghurt pouches and fruit pouches. Let them choose one item each day to add to their lunch box. 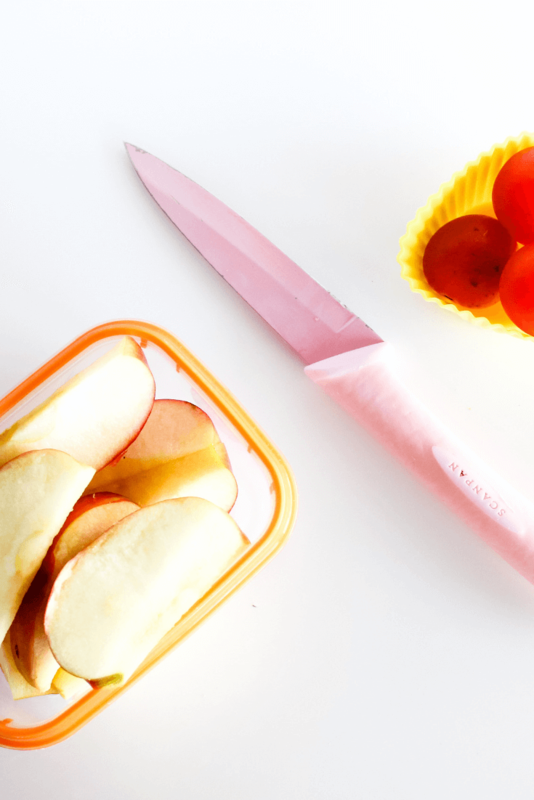 So many kids prefer cut apples, but by recess or lunch time they are usually already going brown! 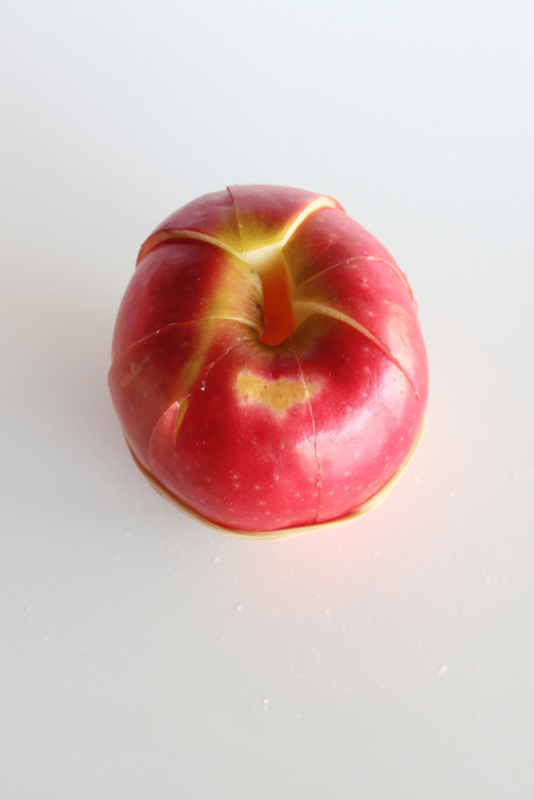 A simple trick to stop this happening is to cut the apple (leaving the skin on), then place the cut pieces back in their pre-cut shape and secure the slices together with a rubber band. The pieces stay fresh and the kids get their cut apple. It’s a win-win. Freezing ahead of time won’t work for all sandwich fillings, but for some it’s an absolute life saver. 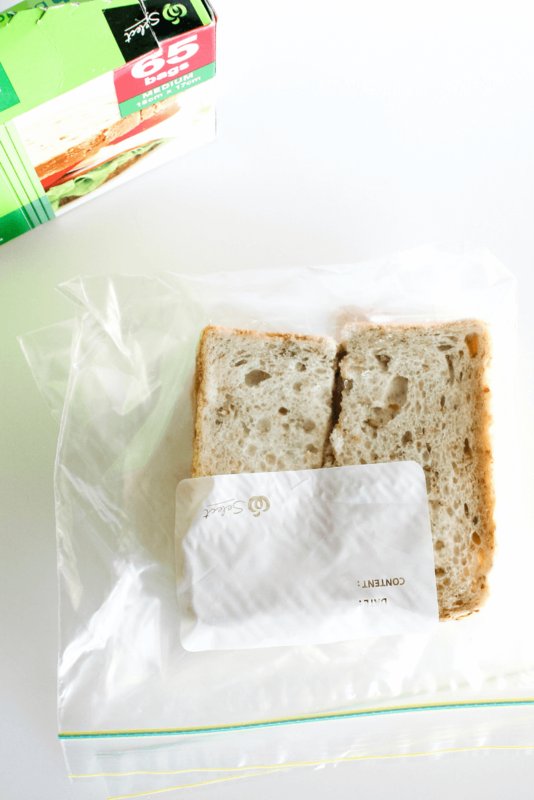 Simply make the sandwiches as you normally would and place in a zip lock bag to freeze. Pull a sandwich out of the freezer each morning and lunch is done! While some sandwich fillings freeze perfectly, others really don’t. Try fillings like Vegemite and cheese, ham and cheese or peanut butter, and avoid fillings such as cucumber and lettuce. If your kids aren’t overly keen on sandwiches for lunch, or just like something different every once in a while, try packing a hot lunch. Thermal lunch containers are perfect for keeping food warm until lunch time. Just fill the thermos with boiling water and let sit for 15 minutes. 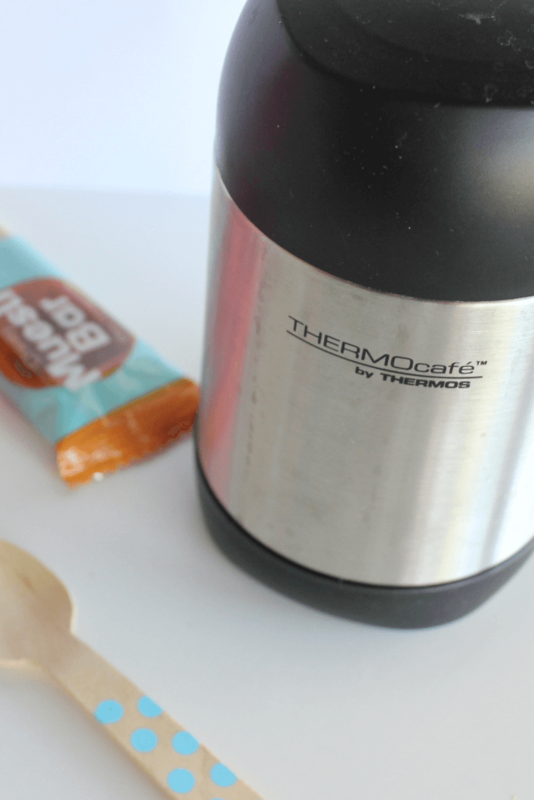 While the thermos is sitting, heat the food until piping hot, then quickly empty the water from the thermos and fill with the hot food. Foods that work perfect include pasta, stews and soups. Just don’t forget to pack a fork or spoon. 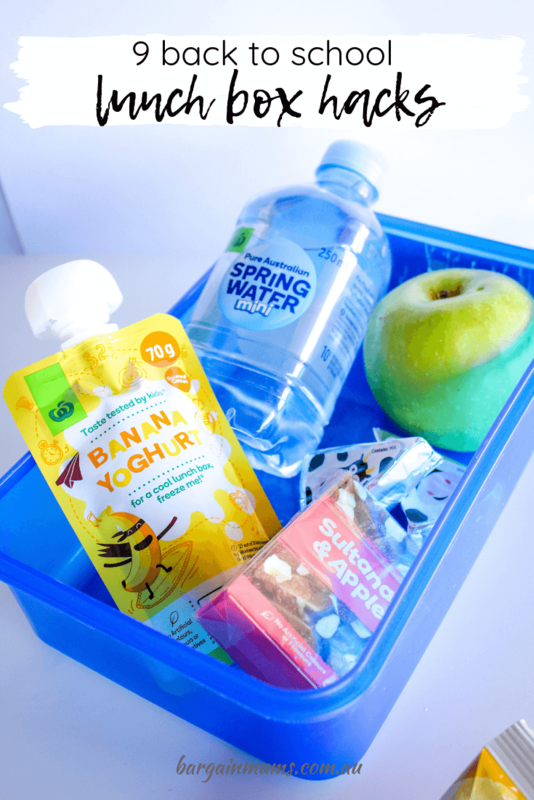 If you find yourself rushing around on school mornings trying to get the kids ready as well as pack their lunch, try packing as much as you can the night before. Pack things like sandwiches, fruit, cheese and yoghurt in a lunch box the night before, and keep the lunch box in the fridge overnight. Then just add any dry foods like popcorn and crackers the next morning, just before the lunch boxes are packed into school bags. Rather than chop up fruit and vegetables each morning, do it at the start of the week and store everything in containers. Then all you need to do when packing lunch boxes is a grab a few pieces from each container. Try pre-cutting carrot and celery sticks as well as fruits like watermelon. They will keep just fine in an airtight container, and will save so much time every morning or night (depending on when you pack the lunch boxes).